Traditional Breast Collar, designed for comfort, that fits because it is completely adjustable. We add smaller snaps to the saddle for English saddles and larger snaps for western and endurance saddles. The center piece going to the girth also includes a snap for easy attachment. This design will not rub or make your horses shoulders stiff and sore, it is designed to stay in place, and be worn for hundreds of miles at a time. 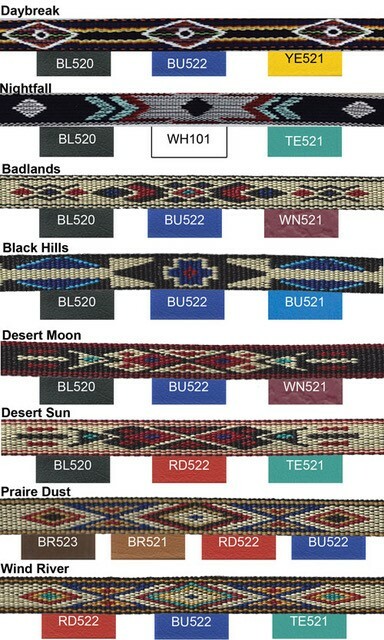 Made with matte finish Beta and you choose one of our gorgeous Navajo nylon designed overlays. We've just added the girth loop option for those of you who have a girth which does not have Dee rings on it- the girth loop will allow you to simply snap on your breast collar to your girth- So be sure to order the girth loop if the girth you use now does not currently have Dee rings on it.